Olé Gunnar Solskjaer, a man so nice that he's been putting up with people mispronouncing his name for 23 years. A gentleman who actually tells English reporters to just call him 'O-lay' for the very simple reason that "it's easier". A club legend whose right foot brought about one of the most iconic moments in football. Exactly what Old Trafford needed this season, someone to come in and not just win five winnable games but to bat those weaker teams aside so easily that analysts have already forgotten how United would've struggled in every one of those games under Mourinho. A clear tactic to win the game against Spurs. Getting the most out of two of the best young footballers in the game in Martial and Rashford and speaking with such plain sense that having De Gea perform well is nothing to be ashamed of - he's a Man United player and him playing well is a very important part of winning games. It's been a hell of a start for Solskjaer who will welcome Chris Hughton and Brighton to Manchester on Saturday but that was hardly going to be going to the talking point of his press conference. After six games, the Norwegian has marked himself out as something of the anti-Mourinho in his enthusiasm, his language, his smile and his results. So, he was asked about Mourinho in front of the media and kept his counsel. ⚽️ @ManUtd caretaker manager Ole Gunnar Solskjaer says Jose Mourinho will not struggle for work when he chooses to return. On the prospect of Jose, a two-time winning Champions League manager and a Portuguese, English, Italian and Spanish league champion, getting another good job, there wasn't much to say, really. "Why shouldn't he [have a future in top-level football]?" Solskjaer asked. "He's a fantastic manager and with the results he's had, I don't think he'll be struggling to find work, no." Mourinho had spoken during the week about player power and about the modern football and used a comparison with the stars today to the ones of Fergie's time. "The phrase I kept with me, the biggest one in the Premier League, Sir Alex [Ferguson], told, ‘The day a player is more important than the club, goodbye,’” Mourinho said to beIN Sports. 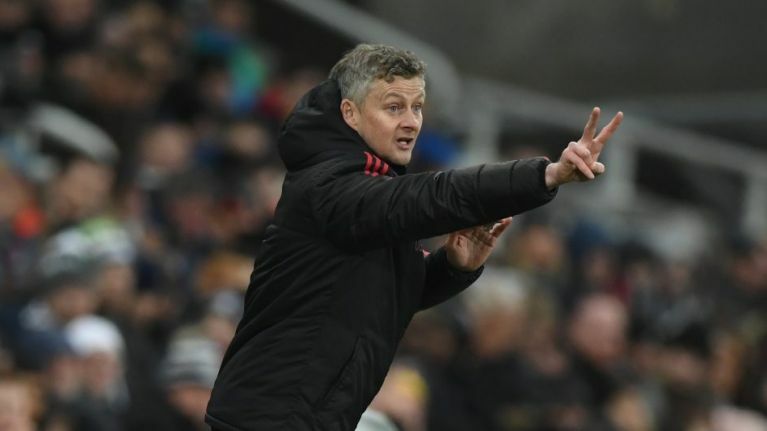 And it was put to Solskjaer, if he's noticed anything similar or experienced problems with the United players - admittedly, it was a very hopeful question. "I can't really comment on everything he says and, of course, I'm enjoying working with these boys and that's all I can say."